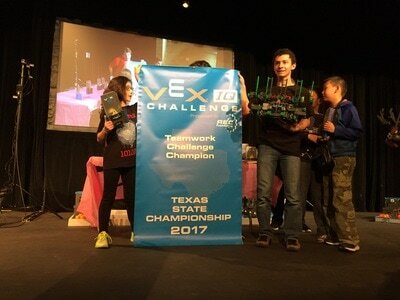 The 2017 VexIQ Challenge was Crossover. The object of the game was to collect as many hexballs as possible, cross a "see-saw" bridge and score them in the highest levels of the goal. 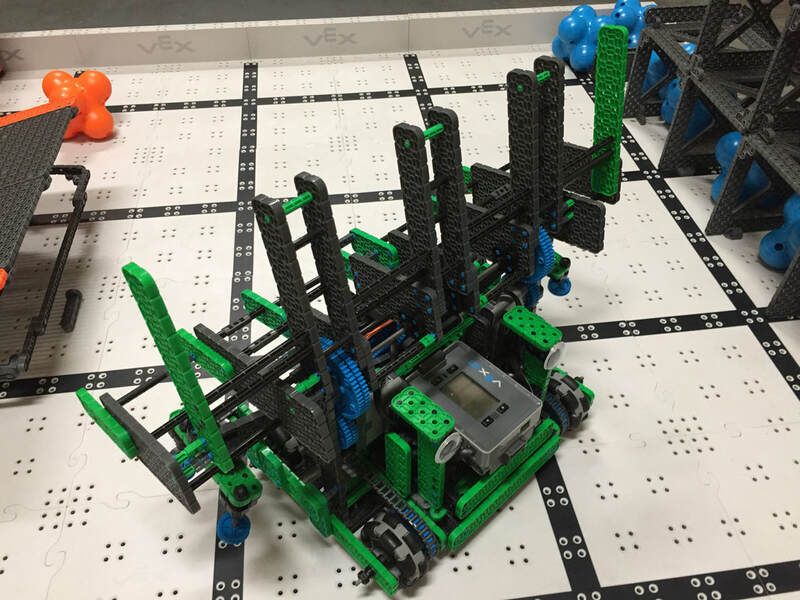 The endgame was to balance the robot on the bridge. Competition play consisted of individual Driving Skills, Team Challenge and individual Programming Skills. 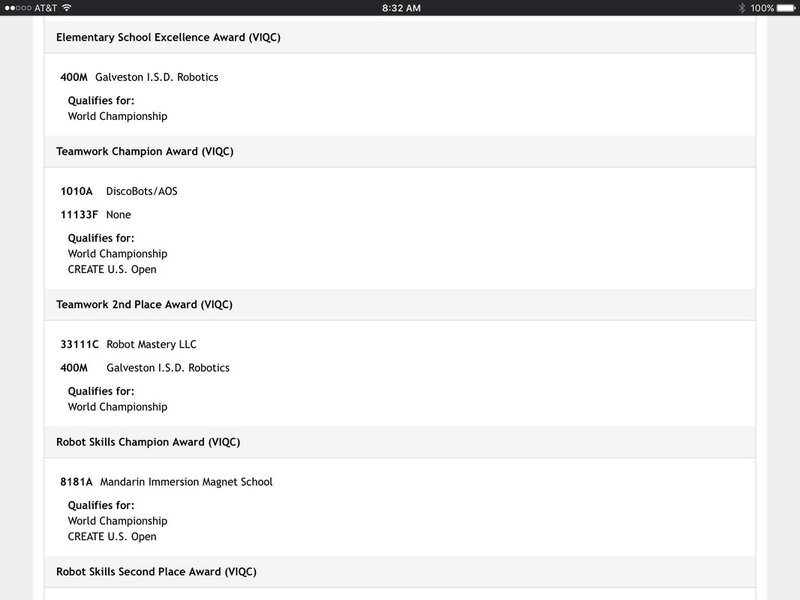 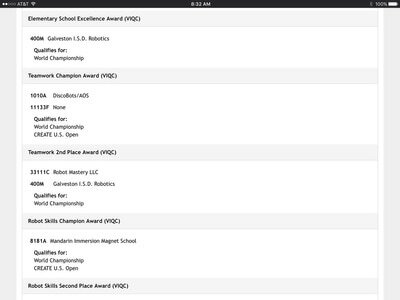 We won Lone Star State Regional for Team Challenge and went on to the World Championship for a third consecutive year! First Place Teamwork Challenge at the Lone Star Regional - we qualified for the 2017 World Championship! 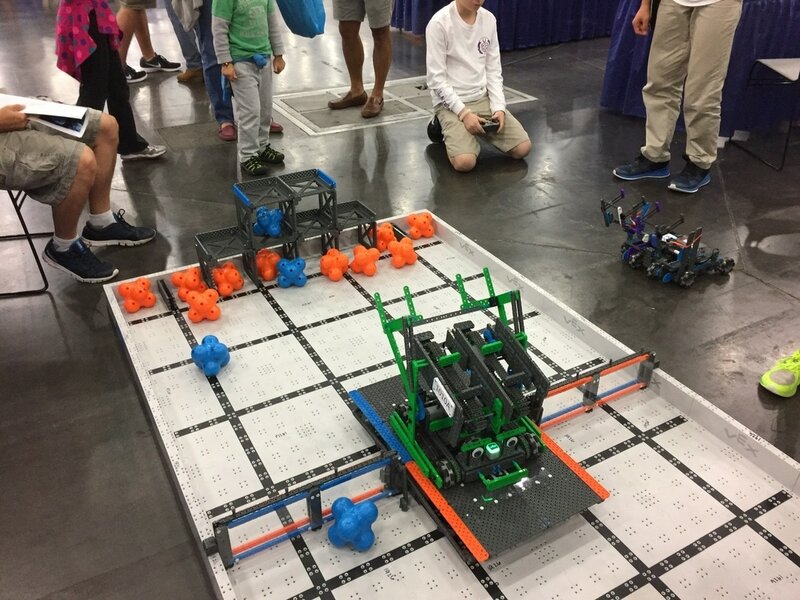 Scoring Driver Skills at Houston Maker Faire - qualified for State Championship and ranked 5th in the world at the time for Driving Skills Challenge!